The day before the NYC Marathon starts with running the Abbott Dash to the Finish 5K. I’m really excited about this race for many reasons. First, the race will finish at the same place I’ll finish the next day. So, I’m assured to get to the finish line of the NYC Marathon at least once feeling decently. Second, the route passes several NYC landmarks. 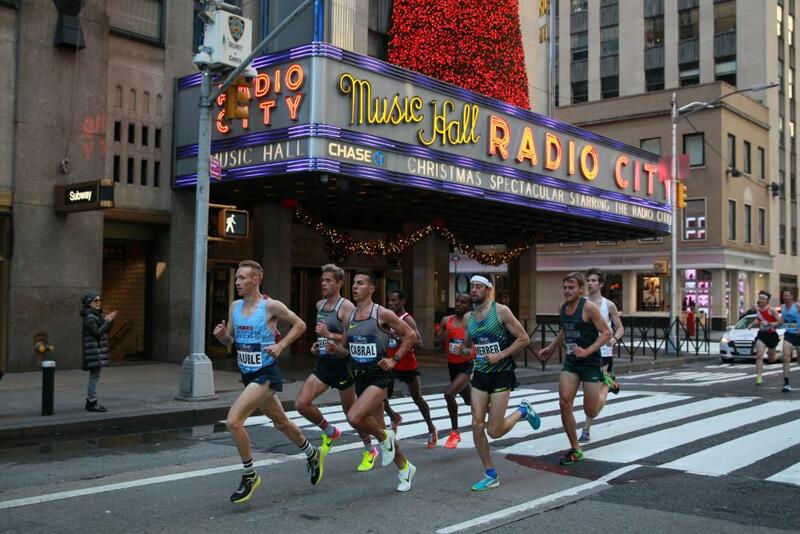 It starts at the United Nations and will pass by the famed Grand Central Station and Radio City Music Hall. I am taking this race as pure fun. No time goals for this one. After the 5K, I’ll head back to my hotel to shower and change. 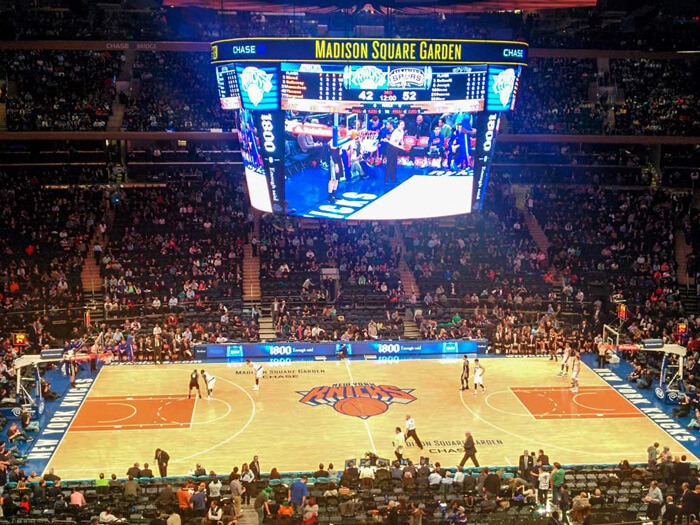 Then, I’ll be off to Madison Square Garden for a tour. This is one item on the list that I could see myself not getting to do. It depends on a couple things. First, I have no idea when my group will get to run in the 5K. So, I don’t know exactly when I’ll finish. I’ve made some educated guesses here. Those guesses lead me to arriving at the Garden pretty much just in time to get booked on the tour. So, if it sells out before I get there, I won’t be doing this one. 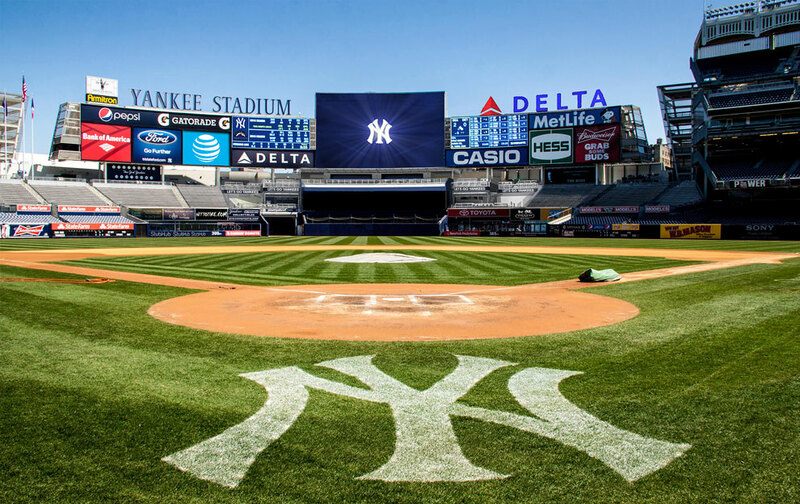 After the tour of Madison Square Garden, I’ll grab some pizza and head to the subway to the Bronx for a tour of Yankee Stadium! I’m really looking forward to this one. This is my main attraction, must do, attraction of the day. While I’m not a Yankees fan, there’s no denying the amazing history of this team. This should be a fun tour! After a meet-up for a NYC Marathon Facebook group at the Mid-Town Hilton, I’ll head out to see Tom’s Restaurant. If you’ve seen Seinfeld, this is the facade that was used on the show. Although, they made sure to cut out the part of the sign that says “Tom’s.” This is a spot where I’m going jut to grab a picture. After a few pics, I’ll head over to the Apollo Theater for some pics as well. I mean, this is an iconic theater where so many amazingly talented people have performed. I wish I had time to get a peek inside. But, that’s not in the cards. 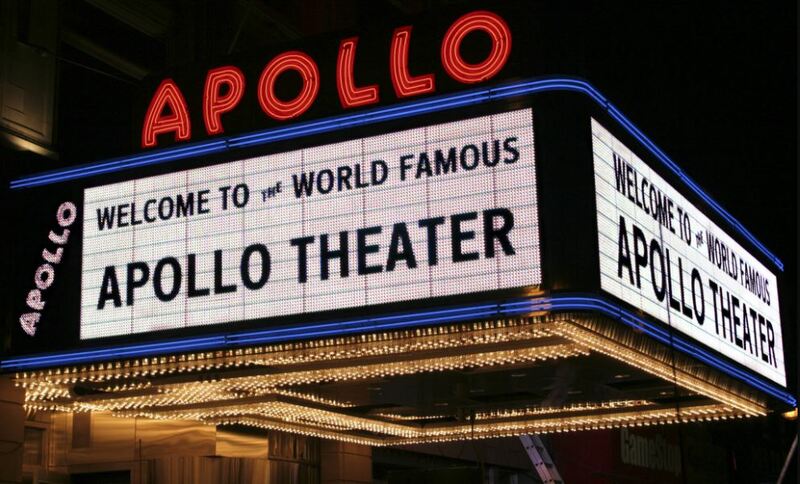 From the Apollo Theater, I’ll head to Carnegie Hall. Not only do I want a picture here, but I’m planning on doing a short video of me singing towards Carnegie Hall. 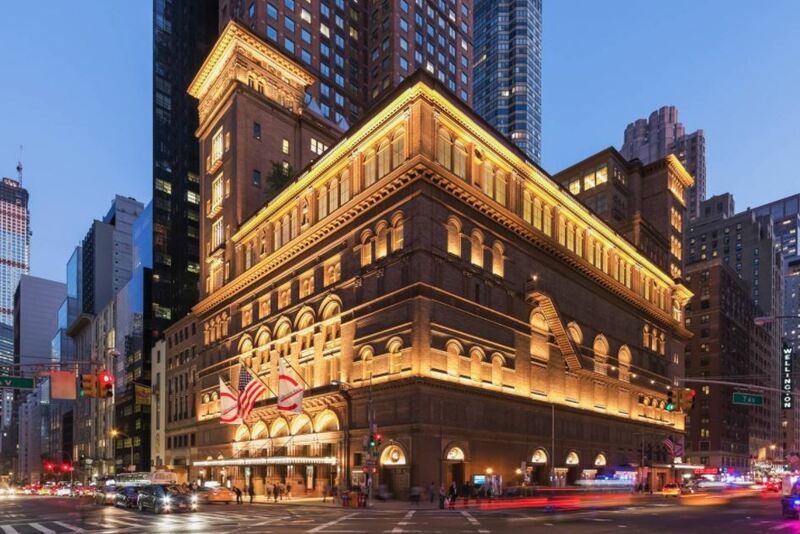 Then, I can say that I sang “at” Carnegie Hall. 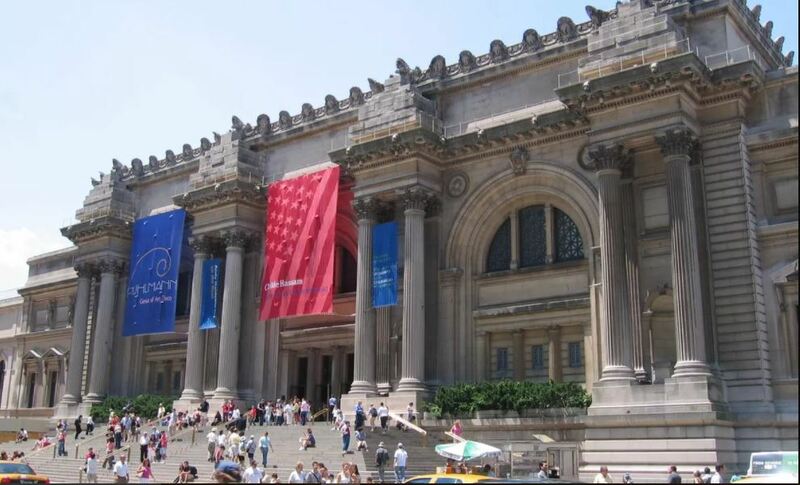 After the quick trip to all these places, I’ll have around an hour (or more) to hang out at the Metropolitan Museum of Art. I know. An hour isn’t nearly enough time to truly experience this place. However, my time is limited. The fact that I can find an hour to an hour and a half is sort of miraculous. After experiencing The Met, I’ll head over to Ellen’s Stardust Cafe for my last meal before the marathon day. Doesn’t this look like the funnest way to get your pre-race meal? I’ve read that the food here is sort of average. I only need spaghetti and meatballs (and they serve that). So, why not add some entertainment with my food? My parents actually suggested that I visit this place while I was in the NYC. The videos I’ve seen had me convinced. There’s a bagel place I’ll stop by on my way back to the hotel for my first breakfast of marathon day. And after grabbing that bagel, I’ll head back to the hotel and relax until it’s time to go to bed. That sounds like a tiring day before the marathon – but it also sounds like a lot of fun! Good for you! Enjoy it all and good luck on the marathon! I totally hear you. Check out my post on Friday for my thoughts behind the planning. The plans I’m sharing are for the max I could do. This is my 4th full marathon. So, if the body is telling me to skip something, I will. Thanks! I am planning on getting a 7 day Metro Pass for the subway. I’ve done lots of research on how to get from point A to point B. I’ve also got an app that has been recommended to help me with the subway system of the NYC. In everything I’m doing, I won’t we walking much more than a quarter-mile before hopping on a subway or a bus.